There were some good prices achieved considering the difficult climate at present. The older bulls in particular were a good trade with prices well up on last year with a number going for export to an average of just over 2200.00. The females were only slightly back on 2017 but still averaged 2050.00. 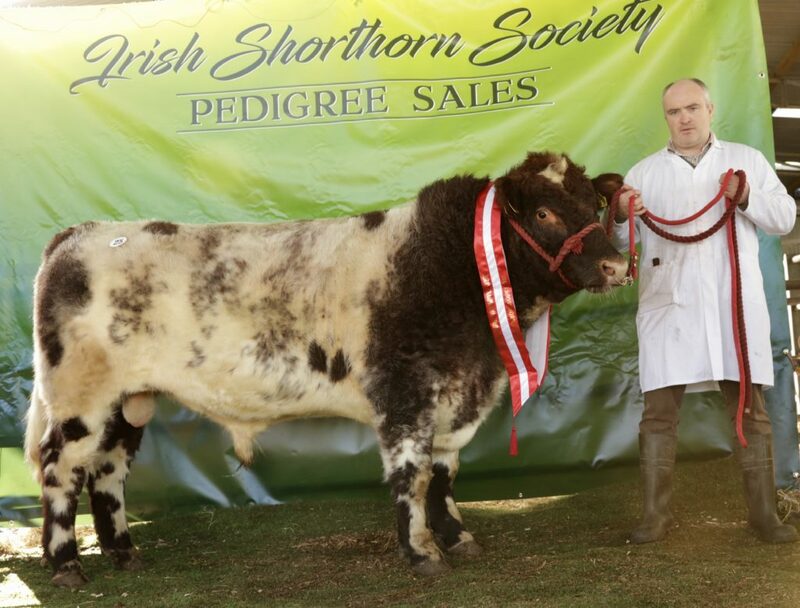 The Champion Ricketstown Logan bred by Martin Kelly, Co Carlow sired by Fearn Capercaillie out of Fearn Monique J336 remained unsold with Reserve Champion Gillaroo Leo bred by Damian McNulty, Co. Donegal sired by Mohill Jack out of Creaga Dice cow selling for 2000.00 to a Northern Ireland breeder.. 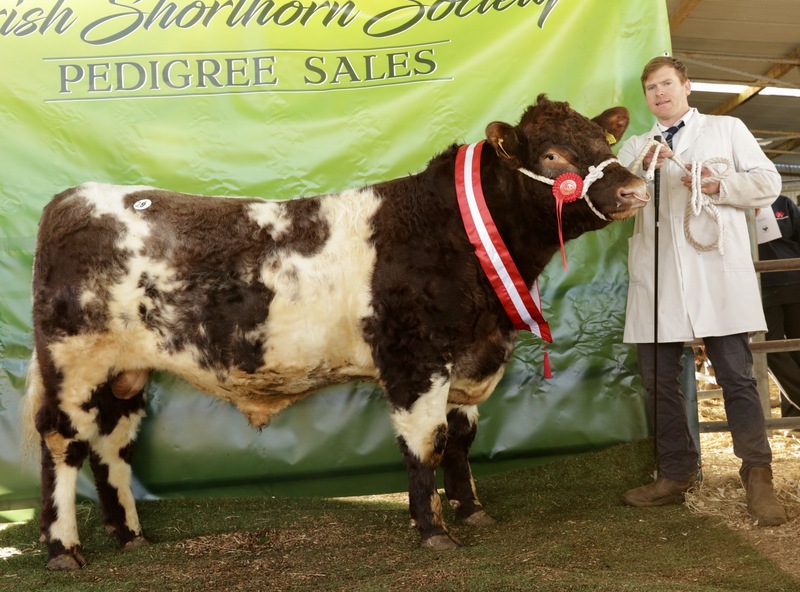 The top priced male Rockville Richie 405 bred by Anthony Dockery , Co. Roscommon sold for 3050.00 to a Shorthorn breeder in Co. Meath. 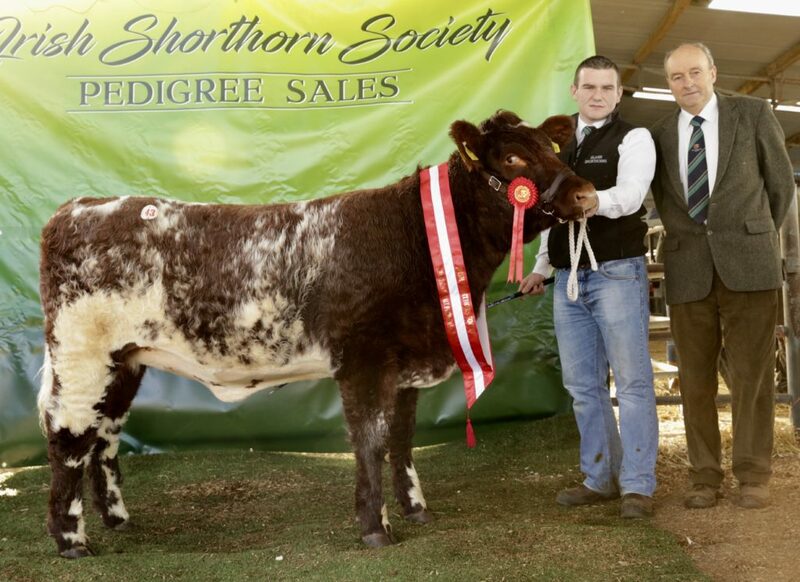 Richie was sired by Sprys Patent Ace out of a Bushypark Enda 4th cow. 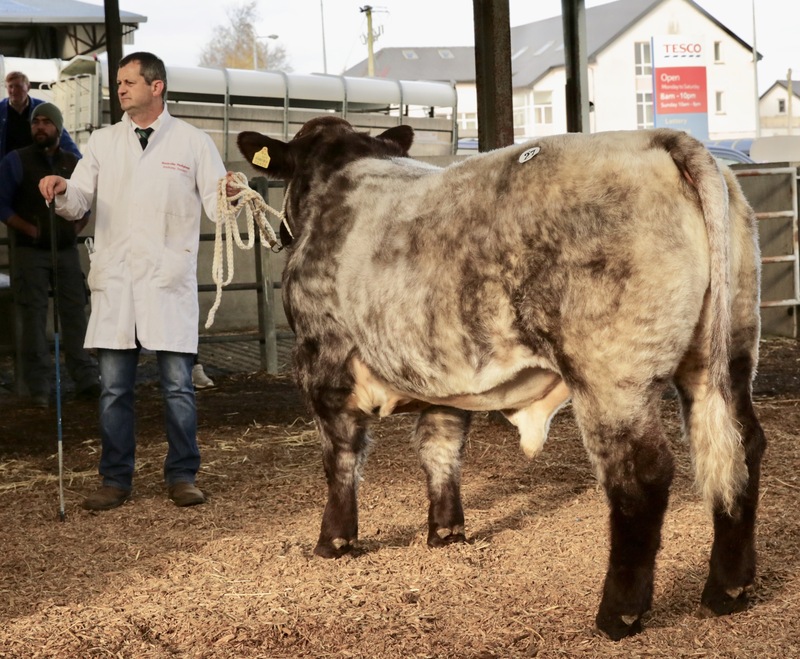 The Champion Female Glann Rosie was bred by the Flatley Family, Co. Mayo and sold for 3500.00 to a Co. Limerick breeder. Rosie was sired by Lismacool Jerome out of a Bethlehem Zenith cow. 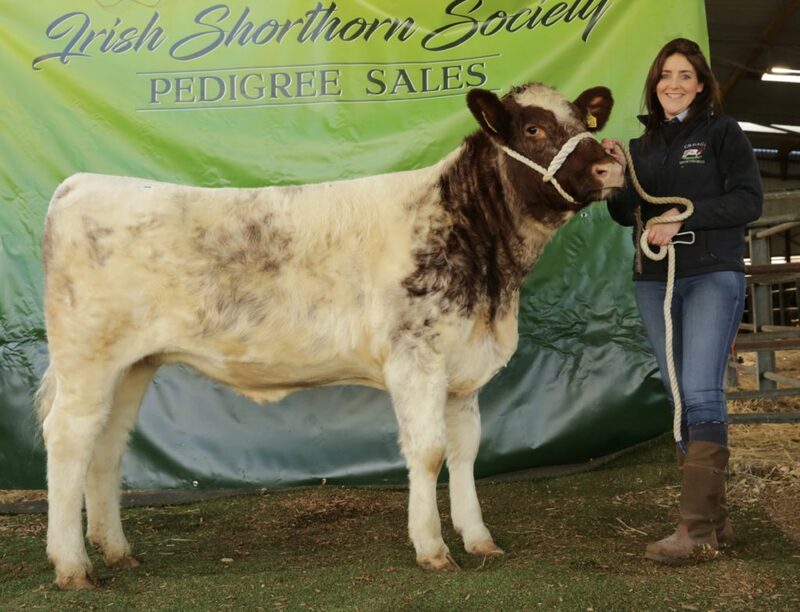 The Reserve Champion Graigue Willow 17th bred by John Cronin, Co. Galway and exhibited by Alan Gibbons, Co. Roscommon sold for 2950.00 to a local Roscommon breeder. Willow 17th was sired by Moygara Exile out of a Rowanberry Bill cow. 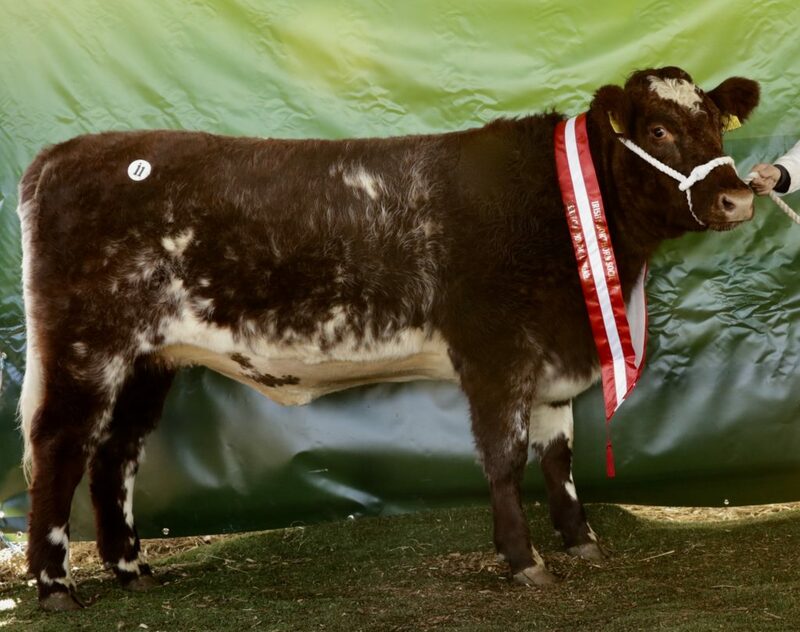 The top priced female Creaga Niki sold to the UK for 4000.00. Niki was sired by Creaga Kenko out of a Winalot Rodney cow.There was a clearance rate of 52% with a quarter going for export. The Premier Sale in 2019 is scheduled for November 9th.